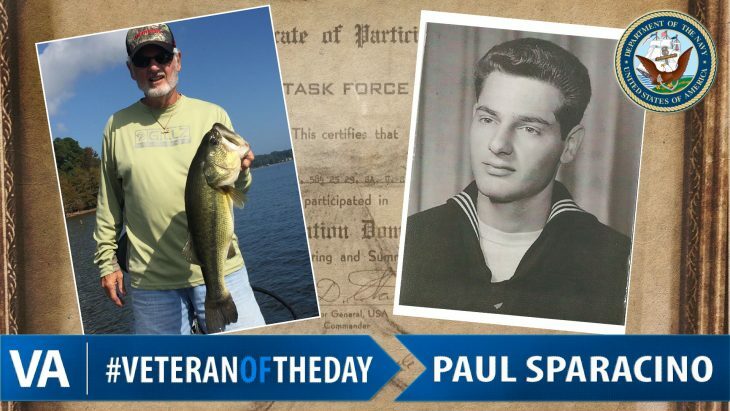 Today’s #VeteranOfTheDay is Navy Veteran Paul Sparacino. Paul served in the Navy from 1962 to 1965. After completing basic training in May 1962, Paul was assigned to USS Princeton LPH-5 ported in Long Beach, California. In fall of 1962, the Princeton was the flagship for Operation Dominic and participated in nuclear weapons in the Pacific. Paul witnessed ten above ground nuclear tests and one underwater test. After leaving the military in 1965, he worked as an Office Equipment Technician and salesman until retiring in 2014. He was appointed Louisiana State Commander for the National Association for Atomic Veterans in April 2016. He enjoys his retirement days mostly bass fishing and at his deer camp.